To read Almanar Germany, please click here. 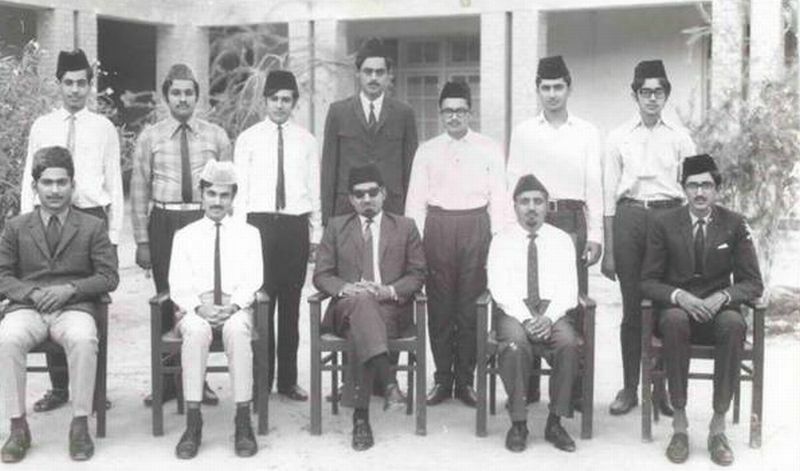 "Talim ul Islam College inaugurated its College Magazine ‘Al Minar’ in April 1950. 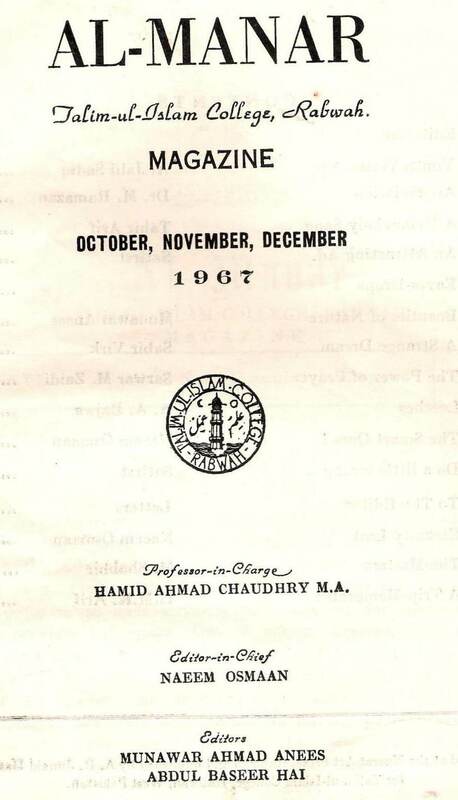 It had both English and Urdu sections and soon it began to contain high quality articles. Since the get up was good and it was printed on art paper it gained immediate fame. 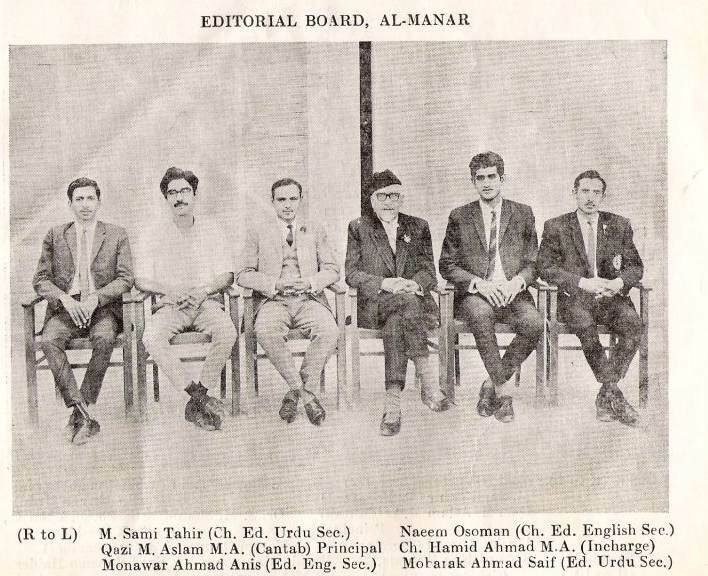 As a result, it surpassed other college magazines that had been in existence for many years and had, already gained considerable recognition It was my good fortune that, from the very first year, I was appointed the Assistant Editor of the Urdu section. Two years later, I became its Editor. 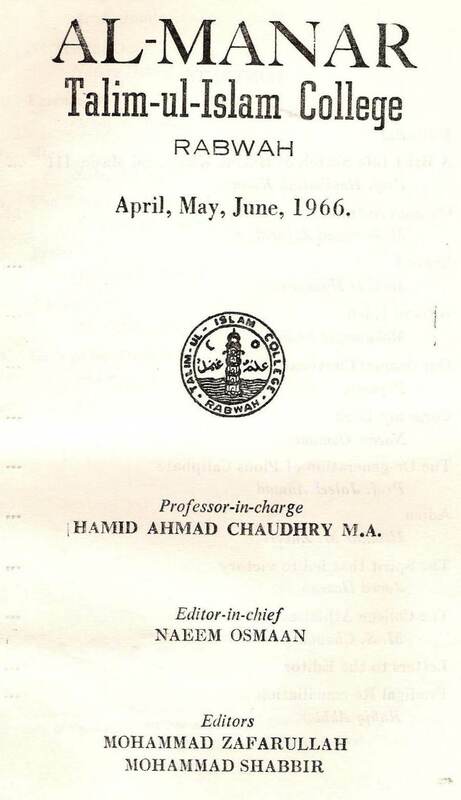 Many of my articles were published in it. One of them concerned the life and poetic works of Khushal Khan Khattak, which was liked by many and that proved to be the beginning of my literary life. 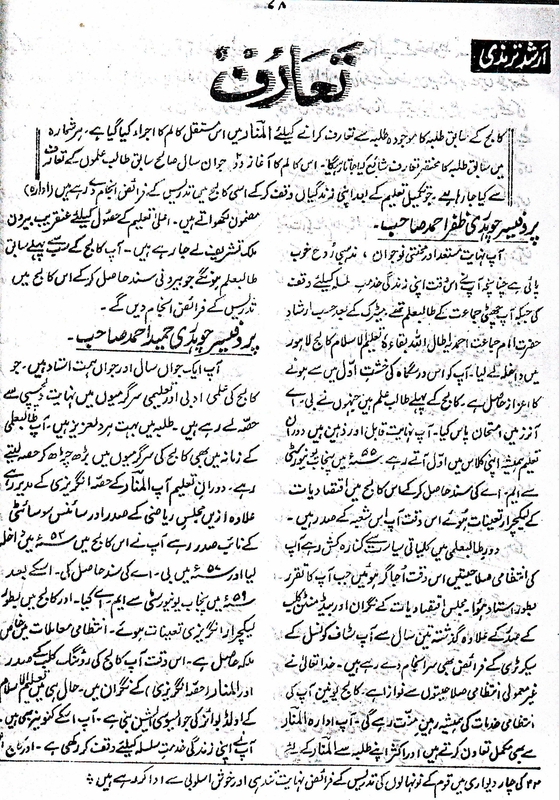 After that, by the grace of Allah, very many of my articles were published in the ‘Al Fazl’ and other organs of the Jamaat. Alhamdolillah! 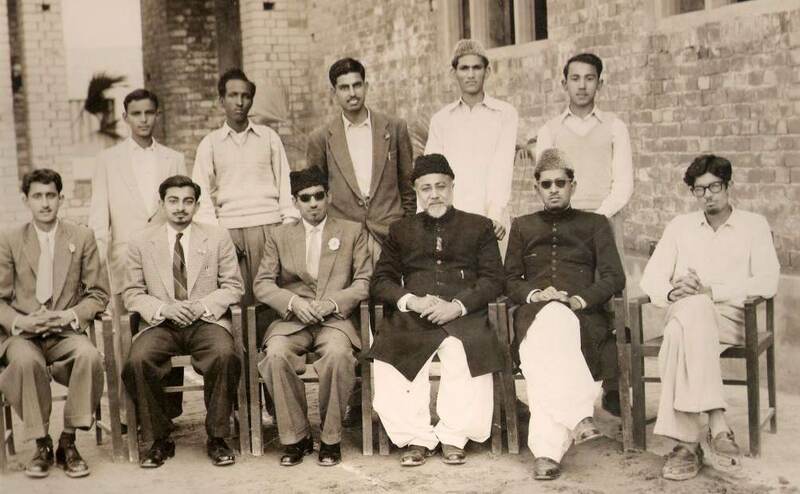 Cpoies of Almanar sent by Mr. Matiullah Dard, U.K.
For Almanar November 1953, please click here. 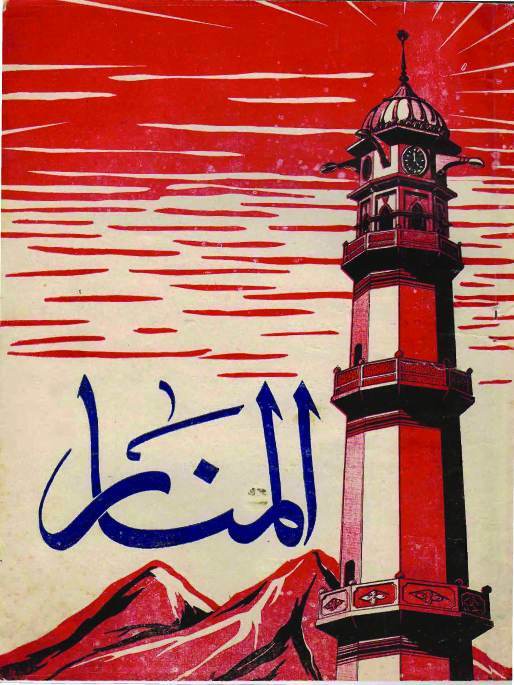 For Almanar February 1954 and that of June 1954 , please click here. 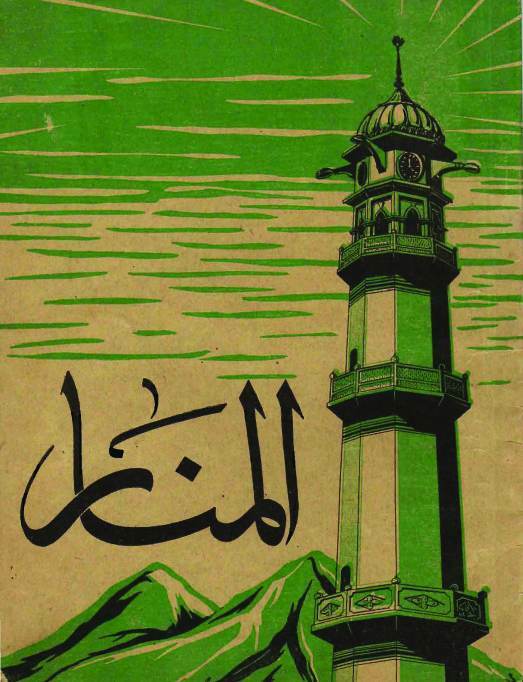 For Almanar November 1954 , please click here.